You are here: Home / Celebrity Video / Zendaya Talks About How To Be A Spy With Radio Disney’s Morgan And Maddy! – Watch Here! Zendaya Talks About How To Be A Spy With Radio Disney’s Morgan And Maddy! – Watch Here! Disney Channel star from Disney’s new original series K.C. 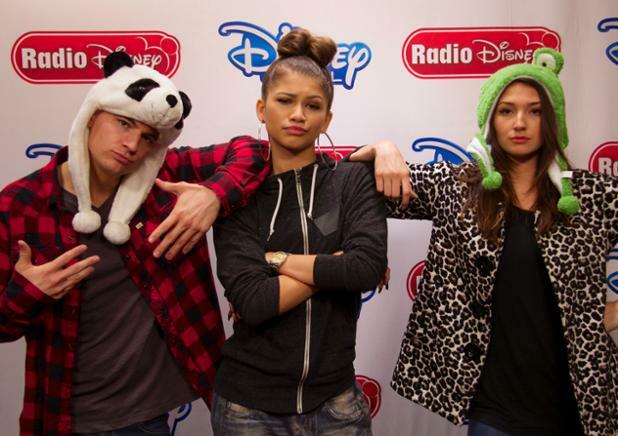 Undercover, Zendaya, visited the the studios of Radio Disney to have some fun with Morgan and Maddy. During her visit, Zendaya chatted about her new show and also talked with Morgan and Maddy about how to be a spy! Be sure to check out the fun the three of them had by watching the video below! Be sure to tune to Disney Channel this Sunday, January 18 to catch the premiere of K.C. Undercover! « Catch Another Sneak Peek Of ‘A Sort Of Homecoming’ – Watch Now!